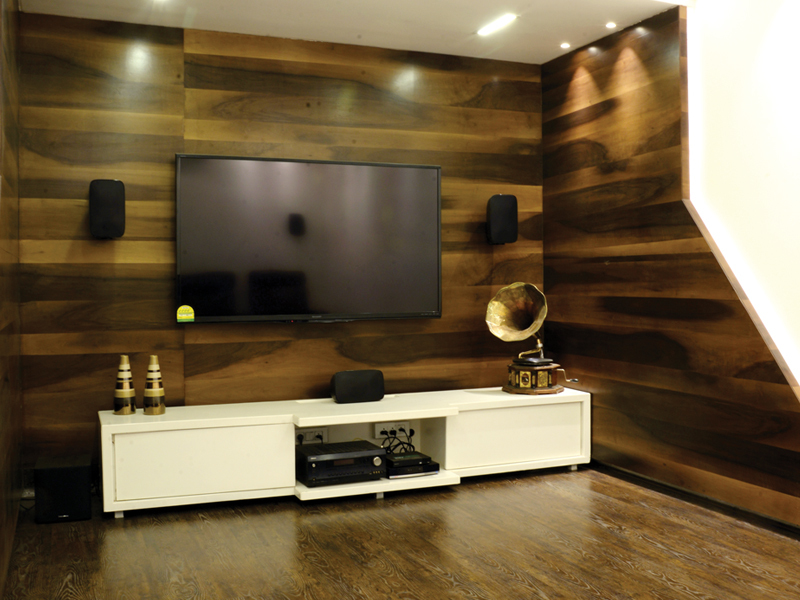 When a cheerful family lands a dream duplex in a serene neighbourhood, interior designer Nishanth Chawda completes the fantasy. This week, we have a look around Tejas and Jayavardhini Delhikar’s bright and airy residence in Madhapur that sparkles with elegant interiors. 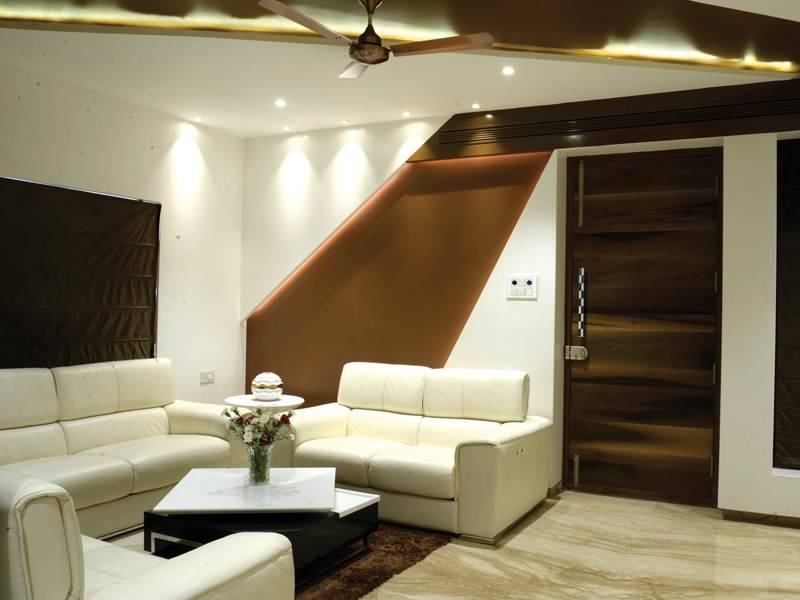 Nestled in the picturesque surroundings of Madhapur, the Delhikar’s lavish duplex seems to just keep going up. 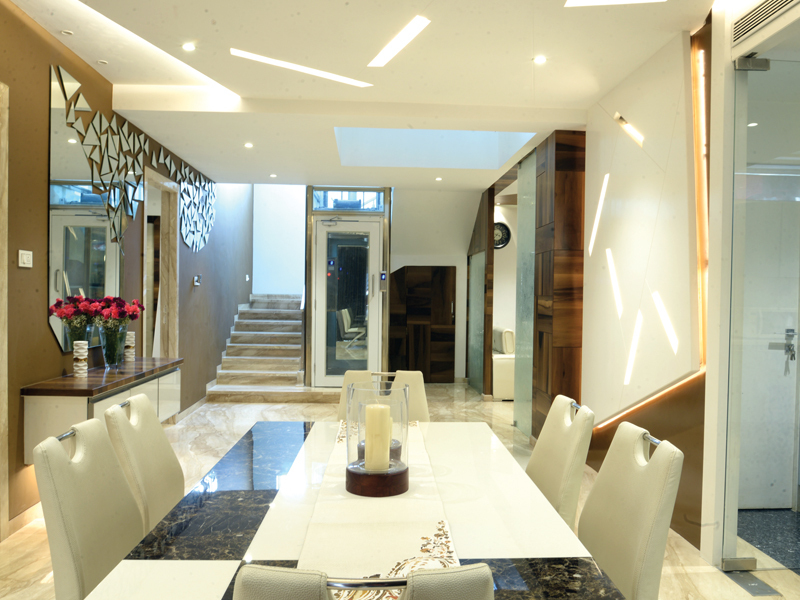 The main floor encompasses a sitting room, living area, dining space, two bedrooms, and a kitchen. Up a staircase are two more bedrooms, a home theatre, and a pooja room. “It’s a duplex, so we didn’t want it to be overdesigned,” Jaya explains. “We hate it when you walk into someone’s house and it feels chaotic. 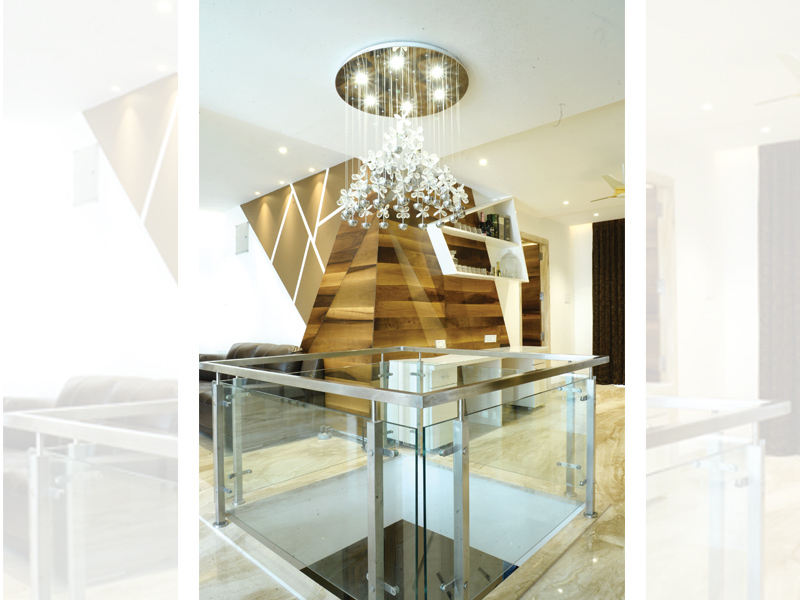 And that was, in fact, one of the biggest challenges we faced – deciding what not to bring into our house.” So when interior designer Nishanth Chawda of N&G Associates first met the couple, he immediately sensed what the two-storey home needed. Teaming up with the family, he envisioned a sophisticated yet casual look for the duplex, and proceeded to pull it off with aplomb. While the colour palette is warm and earthy, the artworks are strategically placed and the fabrics and finishes are varied in texture throughout the house. As for the furniture, with the exception of a few key pieces collected by the family over the years, most were either sourced from Italy or custom made, including the leather sofa in the living room. “When you’re sitting on the sofa, it’s like you’re in a room within the space,” Jaya says. And to further enhance the apartment’s airiness, the designer selected upholstery in honeyed neutrals, dark brown, along with Italian marble for flooring. Like any good minimalist, Nishanth spent time perfecting all the details. The sharp-looking staircase combines a shiny metal railing, which ends in a delicate, curved sweep at the top. As with everything else the Delhikars have done, the stairs make a dramatic yet somehow understated impression.